Many people, including those with rheumatologic conditions like rheumatoid arthritis and lupus, take corticosteroid medications such as prednisone. Some use these drugs for a short time during a flare, but in certain cases the drugs are needed for an extended period of time. While corticosteroids can help a lot by fighting inflammation, they may also cause a number of side effects — including thinning bones (osteoporosis). Long-term use of corticosteroids has a detrimental impact on bones. If you’re taking prednisone (dose of more than 7.5 mg per day) for an extended period, you’re at an increased risk for osteoporosis-related fractures. To minimize the risk, steroid medications should be used for the shortest amount of time possible. If you’re starting steroid treatment, your doctor should assess your fracture risk as soon as possible with bone mineral density testing (if you’re age 40 or over). 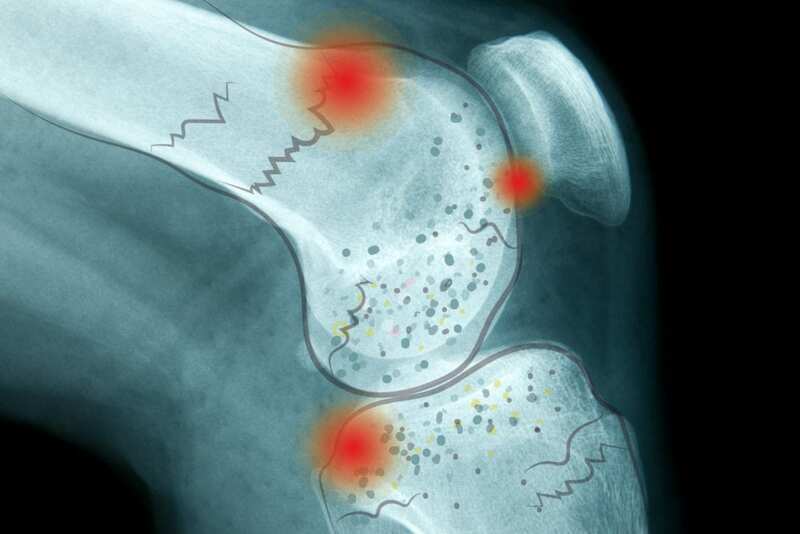 If you’re at least 40 years old and testing suggests that your risk of a major bone fracture is 20 percent or higher, you should probably start bone-building medication (most likely a drug in the bisphosphonate class). You should also start this type of medication if you’re a man over age 50 or a postmenopausal woman and you have osteoporosis as indicated by your T score. Anyone using steroid medication should also aim to get plenty of calcium and vitamin D (ask your doctor before taking a supplement); practice weight-bearing exercise; avoid smoking; and limit alcohol intake.